Activities : Praise and Worship, Caroling, Parade, Christmas Floats, Musical Band march, distribution of gifts. The official poster for the Kuching Christmas Parade 2018 Event. The 4KM parade route takes everyone along various churches, landmarks and major tourist attractions in Downtown Kuching. There are also many hotels and inns along the route with many international visitors. 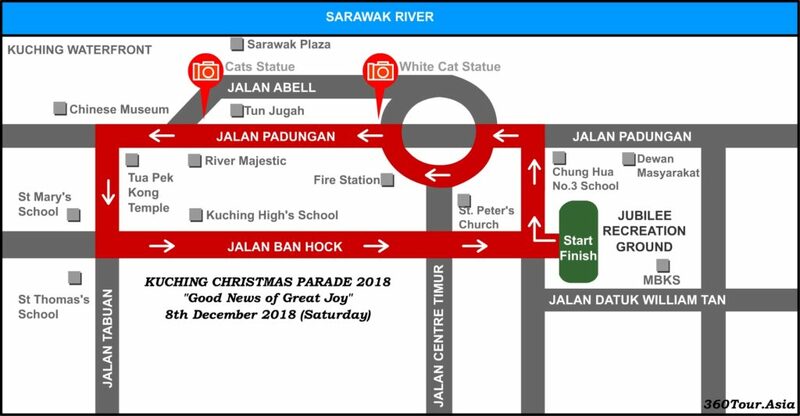 The Parade Route of Kuching Christmas Parade 2018. Major event like this will cause expected traffic detour and blockage. It is important to plan ahead in where to park your vehicles. The parking available for parade participant are located in front of the Jubilee Sports Ground, car park around the MBKS building, car park beside the MBKS swimming pool & Sarawak Hockey Stadium, and SRK Lumba Kuda’s car park. Alternatively there are also parking beside the Kuching Chinatown Gate, behind Prudential Assurance Malaysia (Kuching) and in front of HSBC Bank. 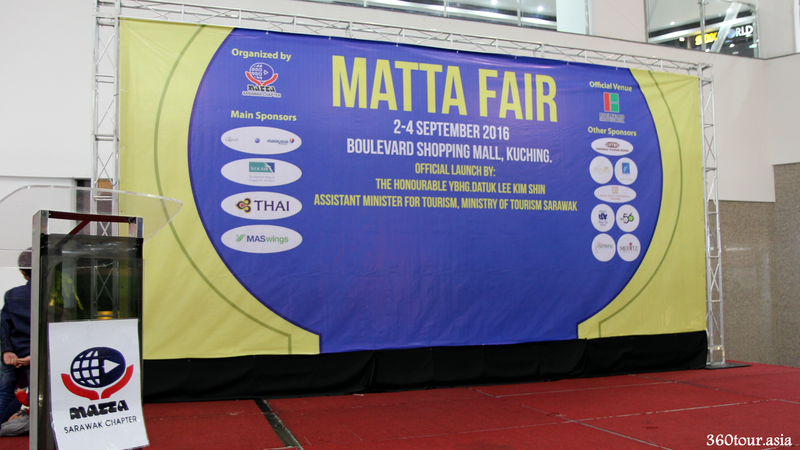 As for visitors, there are many available beside shoplots and shopping malls. However do ensure that your vehicle do not obstruct the traffic and park responsibly. Alternatively you can choose to use public transport and e-hailing transport. Ample amount of water, keep well hydrated. Comfortable and acceptable attire . Portable battery banks for your mobile devices and portable USB fans. Umbrella – It is a monsoon season in November-December with chances of heavy downpour. White Candle with DIY wind shield with clear plastic bottle . Light sticks, balloons, banner, display cards, musical instrument etc. Christmas gift to be given away during parade. The parade order is by Group 1, Group 2, Group 3 and Group 4. 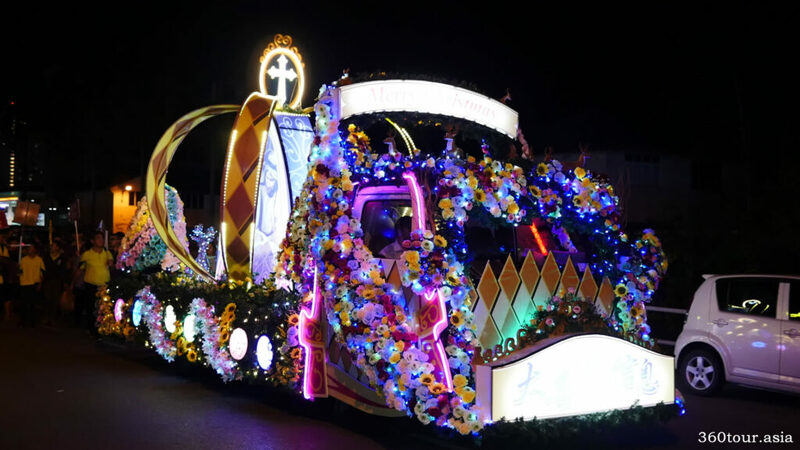 The Parade Marshal for Group 1 and 2 are by Chin Fu Methodist Church, The Parade Marshal for Group 3 are by Faith Methodist Church, The Parade Marshal for Group 4 are by Chin Kwong Methodist Church. The assembly of church members starts early at 5.30pm, where members are gather orderly at the stadium according to the group and order. Waiting in front of the stadium for church members to gather. Pusat Katolik St. Colette Taman Malihah. More and more people gathered around the stadium. 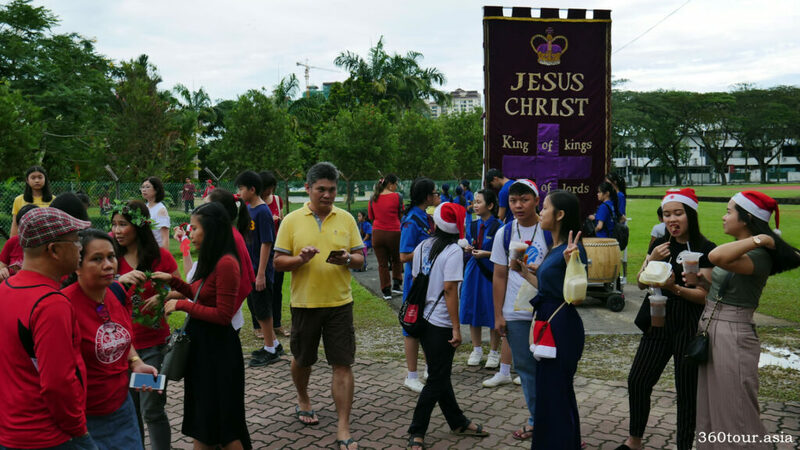 The Kuching Christmas Parade 2018 Service is started with Apostle’s Creed at 6.30pm. Followed by Singspiration by Trinity Methodist Church. At 6.40pm, opening prayer by Archbishop Simon Poh of Roman Catholic Curch, then follow by Scripture reading in different language (English, Iban, BM, and Chinese) by pastors and leaders of various churches. The Candle Lighting Ceremony starts at 6.50pm. The candle is arranged in a cross inside a cross shaped glass designs. Each of the leaders from various church will light up the candle, signify light and hope. 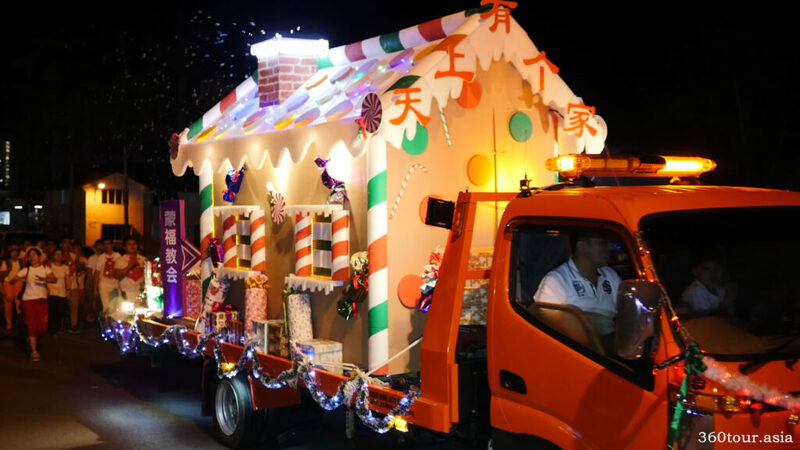 This years parade featuring 16 Colorful Christmas floats, 7 musical bands and more than 7,000 participants from various churches around Kuching City. Ready for the Christmas parade. The Christmas float by Roman Catholic Church. The Christmas float featuring covenant of the rainbow. The Christmas float featuring a train. The Christmas float featuring angles around the stable . The Christmas float featuring animals around the stable. The Christmas floats featuring music and joy around the globe. The Christmas floats featuring cake house. Singing and dancing on the Christmas float. The Christmas float featuring animals on a noah’s ark. The Christmas Float featuring Crown Jewel. The Christmas float featuring Jesus wave at you. The parade ends successfully at 10pm with joy, laughter and happiness in the air. We will be looking forward for the next years event.